The South Moravian city of Brno has the biggest concentration of tech universities in the Czech Republic. No wonder that great projects with global ambitions are born there. Brno hosts the startup accelerator StarCube which provides a 3 months long mentorship program for both individuals and teams. The humble author of this article ia also a mentor in the accelerator. StarCube was established in 2010 as the very first accelerator in Czech Republic. Let’s have a look what projects the accelerator hosts this year. Booking an appointment is one of the most frequent things people do every day, yet most of the businesses don’t offer an easy way of making reservations. Reservio offers a cure for lengthy phone calls or tedious email conversations by bringing the businesses online. “Reservio.com puts simplicity and efficiency first. Instead of offering all-in-one solution, it offers smart templates specifically built for different types of business. Hotels, doctors, fitness instructors, teachers, conference organizers and dozens of others – they all can receive their first booking just minutes after the free registration,” says the founder Boris Bosiak, adding he wants to go global next year. “We believe that people love beauty and simplicity, and that the clients of businesses around the world will quickly get used to this kind of luxurious treatment that saves everyone’s time,” says Bosiak. There are dozens of websites comparing prices of air tickets. 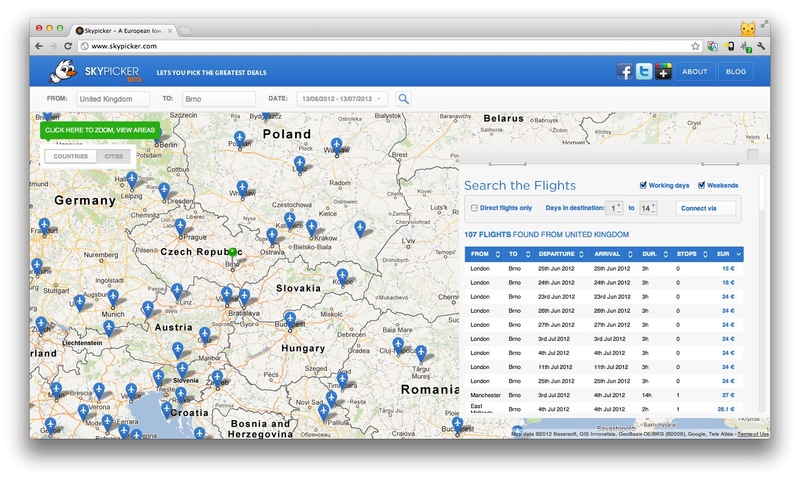 Skypicker focuses on low-cost air tickets in Europe. “Using Skypicker is just addictive. Once you start, you won’t give up until you fly somewhere. And when you come back.. It all starts over,” says the founder Oliver Dlouhy. One Click Support – (so far in Czech only) promises to solve computer issues with one click. “When a customer has a problem with his PC, he comes on our website, clicks on the Connect button and is immediately connected to our support technician, who remotely solves customer’s tech issue in no time,” says the project founder Vladimir Sandera. “The ease of use of our remote support makes us different from competitors,” adds Sandera. In the future, he plans to form partnerships with e-shops and retailers who sell computers, who can sell our premium support to their customers under their brand. 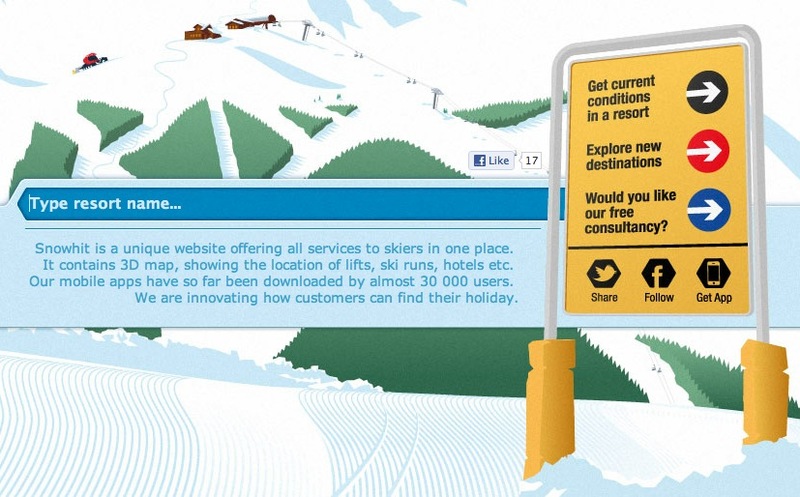 SnowHit by Jan Liska is a portal offering all services to skiers in one place. It contains a 3D map, showing the location of lifts, ski runs and hotels, and allows users to find a perfect ski resort in a few clicks. Its mobile apps have been downloaded by 30,000 users so far. Liska plans to cooperate with important tourist regions in Europe in the near future, to cover all of Europe’s ski resorts and the most important resorts in the rest of the world. Chlapska Zasilka offers regular and flexible shipments of men’s goods every 3 months. “With our service, a man can very easily create his shipment. He can choose which items he really want and just relax. We don’t consider socks and underwear as science. We chose the best products – every pair of socks, underwear or condom which is on offer we have personally tried,” says Martin Brezina, the founder. Biker Season from Tomas Marcanik is a global service for motorcyclists, which offers a combination of a route planner with a system of sharing and sending invitations to other motorcyclists. 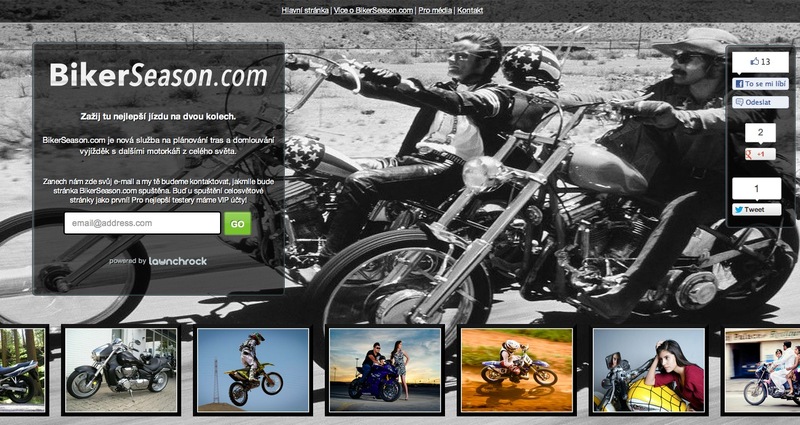 BikerSeason.com aims to be a database of the best motorcycle routes and places in the world. It’s a place where you can conveniently schedule your route and invite other motorcyclists who are only concerned with whom and where to experience the best ride. 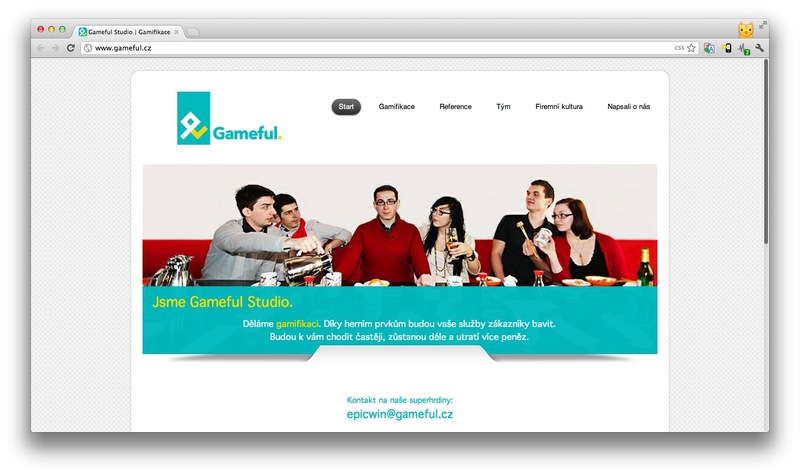 Gameful (in Czech only so far) helps companies engage their customers better by creating custom gamification solutions for them. “You have a great product, we create great gamification for it, the customer starts enjoying it and spends more time and money on it,” says Stepan Hruda of the Gameful team. 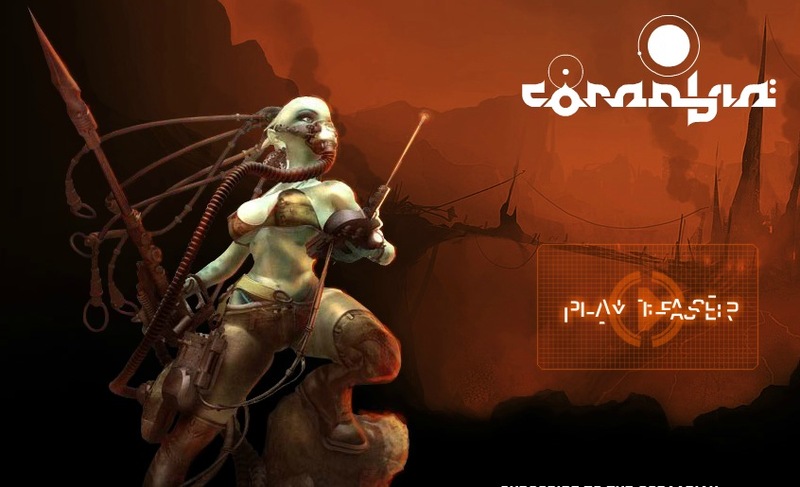 Ambitious Coraabia is a revolutionary sci-fi online card game. The game is based on stories from exotic fantasy universe which can be joined by the players in the epic battle for power. What makes it different from other games? “An original concept of combat system that doesn’t copy any other collectible game ever released. The game will be continually evolving, it will provide players a chance to influence Coraabian history in real-time,” answers the founder Martin Novak. Petr Blaha with his project Doucme.cz (“Catch up with school stuff”) creates a new market on the field of tutoring in the Czech republic. There are more than 1.3 million pupils in which one-third needs a specialised tutor to prepare for exams – regularly. “This is where we show up – with our easy-to-use and friendly website. Just find a tutor that fits your various requirements and get the knowledge you strive for,” says Blaha. The startup will have the Czech Republic and Slovakia covered this year and is preparing to expand to other EU countries in 2013.